I was wondering if you could please help me. 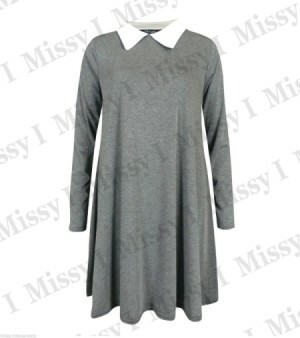 I have a grey dress with a white collar. I want to match the collar with dress color. What should I do to achieve this? The fabric is viscose. There are two answers to your question, one if you know how to sew and the second if you don't. If you don't know how to sew you're going to be far happier (and save money!) by taking your dress to a seamstress or tailor. Either will know how to do the work. If you sew even if just a little, the answer is too long to post here;) Your best bet is to go to your local library for a good sewing book - Singer Complete Photo Step-by-Step (variations on that name), Creative Press Sewing 101, Simplicity Sewing, or Reader's Digest Complete Guide to Sewing are all good titles and will walk you through all the steps (matching the fabric and colour, choosing the correct needle, thread, and machine settings, more). Also excellent are the Butterick-Vogue sewing books, the Colette book...check the table of contents and index to see if the book addresses 'up-cycling', 'refashioning', 'changing/replacinga collar'. Your next stop should be YouTube for free video tutorials - these are excellent companions to the books. Good luck, cute dress as is but a same colour collar would be just as cute and changing the collar isn't really hard if you can follow book instructions! It is a cute dress, Killer, but I can empathize with you wanting to change the colour. White collars and cuffs seem to show dirt more quickly, dont they (particularly foundation, if you wear it)? I dont know a thing about fabric dyes, but it is an option. That said, I cant imagine dying the collar without getting some dye on the dress itself and matching the dye colour to the dress might be difficult. The other thing which occurs to me is fabric paint. I dont know much about that either, but Ive seen the products and with this you could put an apron or towel on the dress portion to protect it while you work with the collar. The third option to consider is crochet or lace: if you crochet or know someone who does, perhaps cover your existing collar with crochet? Ive also seen lovely lace collars at the fabric store. You could try to match the grey or opt for black which, with a little white from the collar showing through, might be very pretty and easy to tack on with needle and thread. Frugal Sunnies suggestions also bear consideration of course and as sewing projects go, it wouldnt be terribly difficult. If youre not much of a seamstress, what do you think about removing the collar altogether? A simple grey dress could easily be adorned with a variety of scarves or necklaces, right? After carefully cutting the stitches to remove the collar, hand sew / finish the neckline edge and press for a neat appearance.